Sorry, finishing this translation of Jun Takano's blog posts on DRY-Z development slipped my mind. Better late than never! Part 3 of the blog entry of Jun Takano regarding the "Z-DRY" development. Translated from the original Japanese. 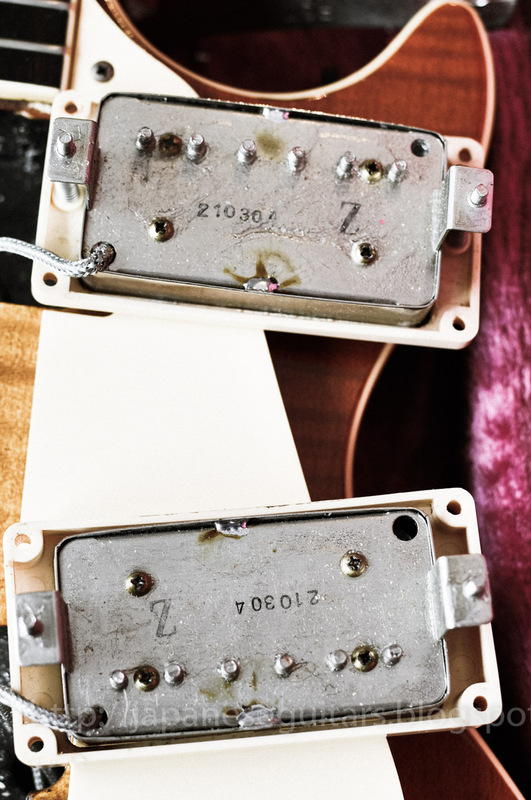 The factory cost of the pickups we had developed up to that point was higher than the popular imported Dimarzio pickup of the time and it didn't make any sense to put them in the lower-priced guitar models so they were used only on the high-priced models. Many guitars that had the pickups installed were passed to foreign artists. Among them were some people like Andy Latimer who didn't want a guitar but only wanted to have the pickups. Of course, I was still not 100% satisfied with what we had accomplished up to that time. I wanted to improve the specifications but I was unable to successfully negotiate this with the factory side and so the road for being able to suggest further improvements became closed. I was able to improve the bobbins at the time of the Mint Collection ramp-up but that was the end. Some time after the new bobbin was introduced the specifications were changed for the worse. The stock of wire ran out and they switched to plain urethane wire but I never had any report of this. After that rich tone was completely lost, it never came back.